Charles Dickens was born on Friday, February 7, 1812 in Landport, Hampshire. His father was a clerk in the navy pay office. In 1814 Dickens moved to London, and then to Chatham, where he received some education. He was the second in a family of six children. After his father was imprisoned at the Marshalsea, London, for non-payment of debts, in 1824, Charles took a job in a blacking factory. Next, from 1824 until 1827 Dickens studied at Wellington House Academy, London. From 1827 to 1828 he was a law office clerk, and then worked as a shorthand reporter at Doctor's Commons. In the 1840s Dickens founded Master Humphrey's Cloak and edited the London Daily News. 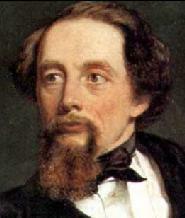 Dickens's relationship with Maria Beadnell, the daughter of a banker, lasted for four years. Afterwards, he married the daughter of his friend George Hogarth, Catherine Hogart in 1836. When Catherine's sisters, Georgiana, moved in with the Dickenses, he fell in love with her. Even though, Dickens had 10 children with Catherine, they were separated in 1858. Additionally, Dickens also had a long-lasting relation with the actress Ellen Ternan, whom he had met by the late 1850s. From the 1840s Dickens spent much time traveling and campaigning against many of the social evils of his time. In addition he gave talks and reading, wrote pamphlets, plays, and letters. In 1844 to 1845 he lived in Italy, Switzerland and Paris. From 1858 to 1868, he gave lecturing tours in Britain and the United States. Afterwards, he moved to Gadshill Place, near Rochester, Kent. He died there on June 9, 1870. The true account of Dickens tour of America. A historical tale that takes place during the anti-popery riots of 1780, the story is based around the murder of Reuben Haredale. Sir Leicester Dedlock and his wife, who harbors the secret of having borne an illegitimate child when she was young. The child is still alive and through a series of tragic events, finally learns the secret about her past. Trotty Veck, over the course of his life, becomes convinced that poor are born bad. Spirits from the bell tower at a nearby church show him how the future might be if Veck continues to think badly of his fellow man. He awakens a changed man and heads to his daughter's wedding. The beloved story of Ebenezer Scrooge and his life-changing encounters with several ghosts on Christmas Eve. John Peerybingle, a mail carrier, and his wife, Dot meet a mysterious stranger. Born after the death of his father and abandoned by his aunt, who wanted a girl, the story tells of David Copperfield's turbulent life, through his rise to adulthood when he finally finds happiness. Pip, an orphan, meets an escaped convict and falls in love with beautiful Estella, the ward of Miss Havisham. A successful businessman, Thomas Gradgrind, teaches his children to accept the hardness of life. He arranges for his daughter Lousia to marry Josiah Bounderby, a man thirty years older than her. Gradgrind's son robs Bounderby's bank and Louisa runs away, it forces Gradgrind to reevaluate his life. The story of the Nickleby family. After the death of their patriarch, a cruel uncle sends Nicholas to a boarding school. There Nicholas befriends Smike, and the two escape. Nicholas seeks a way to help his family out of their squalor while getting revenge against his uncle. William Dorrit is imprisoned in the Marshalsea prison for debt for such a long time that he is now called 'The Father of Marshalsea.' He lives only for his daughter, Amy, 'Little Dorrit.' He meets Arthur Clenham, and a fortune comes into their lives. Clenham eventually ends up in the same prison, and there his tale unfolds. Edwin Drood, who is engaged to Rosa, an orphan, disappears. Dickens died before completing this story, leaving it unsolved. The life, adventures, and tragedies in the life of Oliver Twist, an orphan who, after being sold to a cruel man, escapes to the streets and, under the tutorship of the Artful Dodger, learns how to become a thief. The body of John Harmon is found in the Thames. His fortune goes to "Noddy" Boffing, a kind, but poor clerk. A narrative of the French Revolution set in both Paris and London. Charles Darnay renounces his social status against the will of his uncle, the Marquis de St Evremonde. Darnay leaves Frances and marries Dr. Manette's daughter. Darnay returns to France, tries to save a servant, is arrested, and sentenced to death. The rest of the novel concerns itself with whether or not Darnay must die for his heroic action or if he can be saved, and by whom.